All bets are off. This time the gamble is survival. 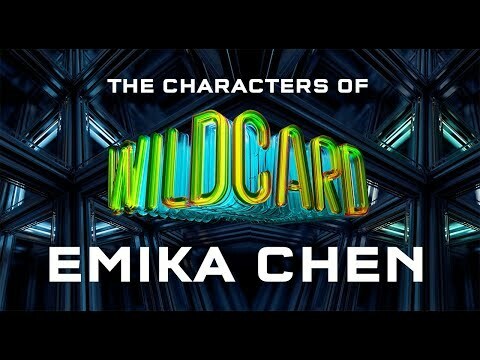 Emika Chen barely made it out of the Warcross Championships alive. Now she can no longer trust the one person she's always looked up to, the one person she thought was on her side - Hideo Tanaka. His plan: to wipe out all crime on Earth by ending the free will of its citizens. Emika is determined to put a stop to him, but she soon finds a new threat lurking on the neon-lit streets of Tokyo. Someone's put a bounty on her head, and her sole chance for survival lies with the ruthless Zero. But his protection comes at a price. Caught in a web of betrayal, just how far will Emika go to take down the man she loves? In this explosive sequel to the New York Times bestselling Warcross, Marie Lu delivers an addictive finale that will hold you captive till the very last page. Marie Lu is the #1 New York Times bestselling author of The Young Elites series, as well as the blockbuster bestselling Legend series. She graduated from the University of Southern California and jumped into the video game industry as an artist. Now a full-time writer, she spends her spare time reading, drawing, playing games, and getting stuck in traffic. She lives in Los Angeles with her illustrator/author husband, Primo Gallanosa, and their dogs.